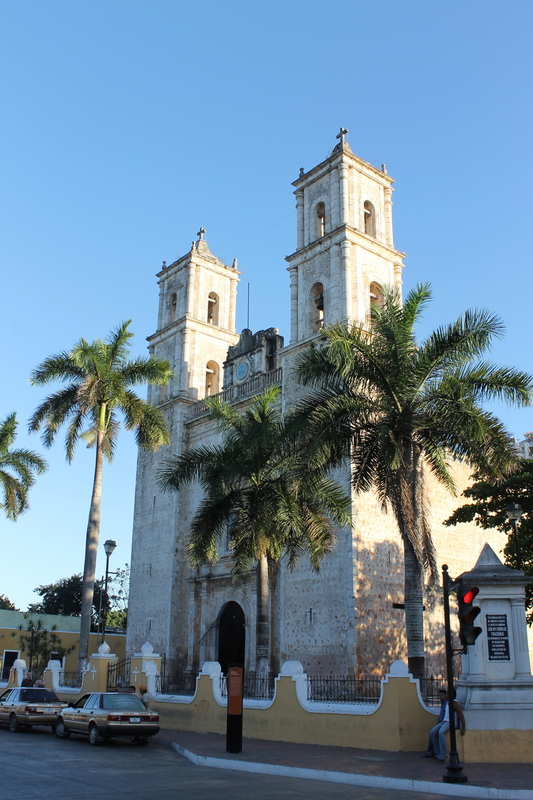 So you are in Merida and would like to experience Valladolid to see what the hoopla is about. You could of course do it on your own, taking a combination of colectivos, taxis and other public forms of transport, juggling their schedules and waiting when necessary; paying your own way into sites and taking a chance on a guide at the ruins in nearby Ek Balam. By the end of the day, you might find yourself just a little bit exhausted and perhaps somewhat frazzled as well. Lawson's Original Yucatan Excursions has a comfortable, smooth and all-inclusive option that might be what you are looking for. Your trip with us will be a chance to enjoy the best of the Valladolid area in a stress-free, fun way. This tour could really be described as a tour for the senses, as you will see. We leave Merida bright and early (8AM) in order to arrive in time for the morning (and only) tour of the fabulous Casa de los Venados; a private colonial mansion restored to it's former glory - and then some - where our hosts, John and Dorianne Venator, generously open their doors for the public each day at 10 AM to tour what is essentially Mexico´s largest private collection of Mexican folk art. 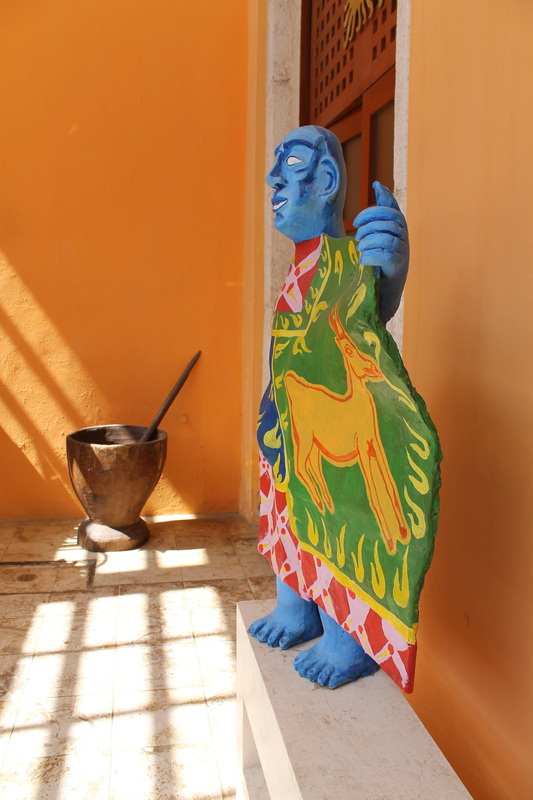 If you have even the slightest interest in the amazingly colorful and imaginative work that characterizes Mexican folk art, a visit to the Casa de los Venados is a must. In addition to getting a chance to admire this magnificent collection, you will be helping local Valladolid community organizations such as the Rotary Club, as the entry fees are donated in their entirety. After visiting the collection, we explore the restored historic main square of Valladolid, which has recently been completely reinvented, with cobblestone streets, removal of overhead cables and garish signs and with 1700-era facades painted in somber colonial chocolate, grey and marine blue colors. Included is a visit to the San Bernadino monastery and its small on-site museum. Perhaps a stop at the wonderful Coqui Coqui perfumerie for some shopping? After the city tour, a visit to the giant cave located directly under the city of Valladolid where you will have an opportunity to swim in the refreshing freshwater cenote, take photos or just admire the beauty of this natural formation. Of course we provide towels for your swim. From Valladolid, we then head to the nearby Mayan site of Ek Balam, with a stop at the village of Temozon, famous for it's furniture and smoked meat. You will see plenty of signs advertising longaniza, the traditional pork sausage, prepared with special spices and slow smoked over real wood coals. There is nothing better than freshly smoked longaniza in a real corn tortilla, topped with pickled red onions and some home-cooked tomato salsa, and so, that is exactly what you will do! Lunch is included at one of these establishments where you can visit the ovens and see the meat and sausage smoking process, up close and personal. Photos are not only permitted, but encouraged. Re-energized by the smoked meat lunch, you will then drive to Ek Balam, one of the great Mayan ruins sites in the Yucatan, along with such others as Uxmal, Chichen Itza, Coba and Mayapan. Ek Balam is famous for it's restored mascarones and the lost-city-in-the-jungle feel of this place is truly magical. 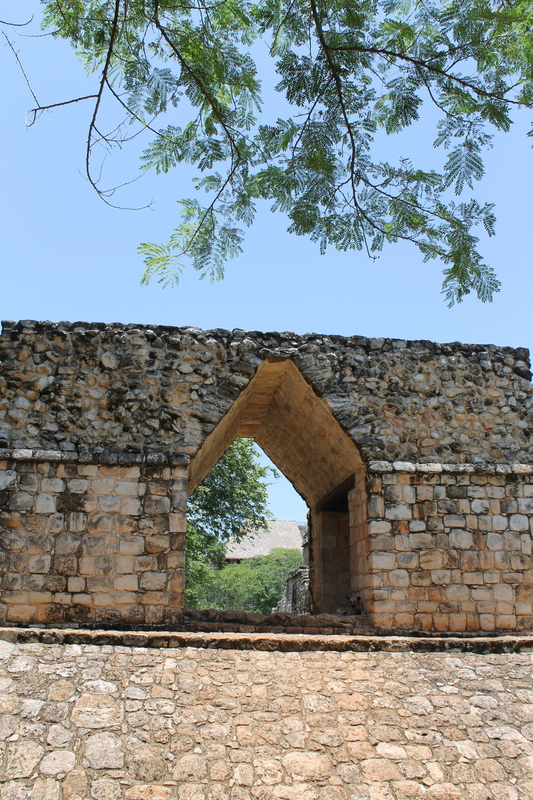 It is here where your guide will have his moment to shine and will explain in details, everything you wanted to know about Ek Balam. Questions are more than welcome; feel free to interrupt! Only after your curiosity about Ek Balam has been sated and your cameras' memory cards are filled to the max, will you start the trip back to Merida where your hammock or bed awaits you for a late siesta, before heading out in the evening to enjoy your night in Merida. not included are additional meals, shopping and a tip is entirely optional. Prices are per person and vary according to the number of people in the group. We can accommodate from 4 to 18 people in late model vehicles that range from minivans to Mercedes Benz Sprinter vans. Larger groups are not a problem; we can use a bus or several smaller vehicles, depending on how you wish to travel. Please inquire about pricing for groups larger than 18 and also for 2 people. If you are on a private tour or everyone in the group is in agreement, you can add on any of the following. This will affect your return time to Merida. $30 USD per person. Includes transportation to and from Xocen, entry to the presentation. Xcanche Cenote Swim. Near Ek Balam is a pretty cenote called Xcanche and if it is hot and you need to cool down this cenote is perfect as it is only 2 kilometers from the Mayan site itself and accesible by tricycle taxi, yet another experience to add to the day! Add an hour or two to your return time to Merida. $30 USD per person and includes your tricycle taxi ride to the cenote and back. You can book the tour or request additional information on our booking form. Click here.